Learning From Lehman. Gyalwa Karmapa publishes new article in Huffington Post. Join Gyalwa Karmapa Spiritual blog on SpeakingTree! Pain Gain and the Race of Life. Gyalwa Karmapa publishes article in Huffington Post. His Holiness gave a public teaching in Manchester on the topic “The Way of the Buddha”. Five Steps to a Wealthier Life. His Holiness Karmapa Trinley Thaye Dorje publishes article in Huffington Post. Meeting with the sangha from the Baltic countries and giving the bodhisattva vow. The Wealth of Europe. His Holiness Karmapa Trinley Thaye Dorje publishes article in Huffington Post. On the 6th of June, His Holiness Karmapa gave a Dharma teaching at the SMX Convention Center in Manila before giving the refuge vows. Three days Pujas and Intitiations (Sange Menla, Dorje Sempa and Amitabha) at the SMX Convention Center in Manila. June 2nd The Gyalwa Karmapa Gives A Lecture At De La Salle University And Visits The Infirmed And Terminally Ill patients At The Philippines General Hospital. 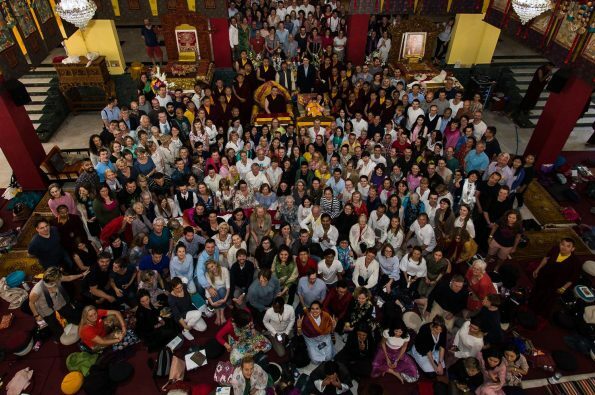 Presentation of the new Karmapa International Buddhist Society at K.I.B.I. Dharma Teaching in January 2012 by Gyalwa Karmapa at K.I.B.I.